With the Holidays upon us, it’s time to think about what treats and meals to prep for all our festivities. 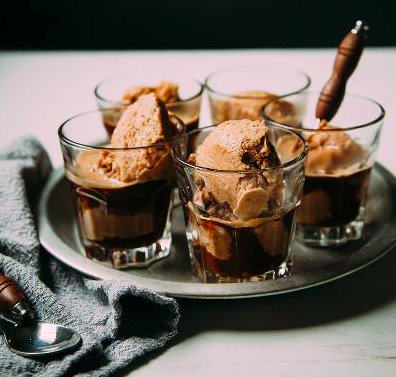 It can feel a little daunting, especially if you have guests with dietary restrictions on your list. 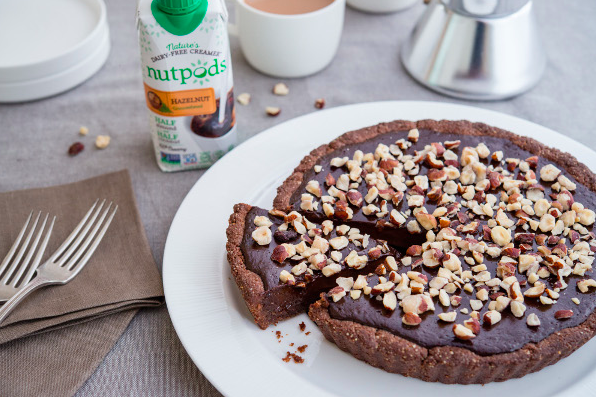 Don’t fret – we’ve teamed up with nutpods, a dairy-free creamer, to take all of the planning off your plate with scrumptious Holiday meals that dairy-free, lactose-free and vegan friends & family can all enjoy together. Start the day off with these Cardamom-Orange Cinnamon Rolls, using fresh fruit and orange zests to get everyone into the festive mood. 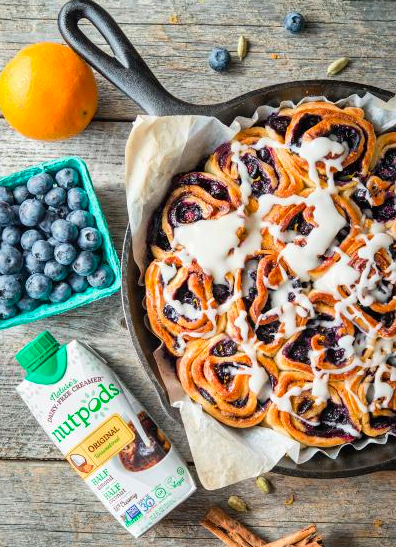 The nutpods half & half creamer makes these cinnamon rolls’ frosting scrumptiously creamy. Feeling a bit more savory? 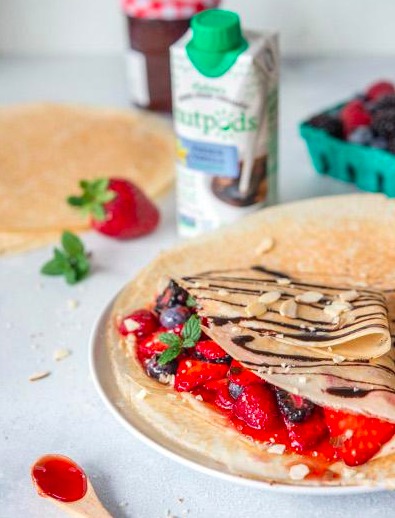 Try these Vegan Crepes instead. Vegan crepes that can go both sweet or savory, depending on your fillings. Try mushrooms with a nutpods’ gravy to satisfy your cravings! ‘Tis the season of squash and pumpkin, so for the big dinner, start with this creamy, dairy-free Butternut Cream Soup to get everyone’s appetite going. Maple syrup and a hint of curry powder give this soup its exquisite flavors. 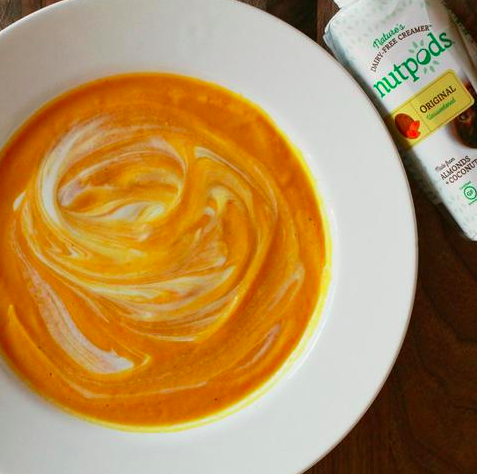 nutpods half & half gives this first course a creamy, rich texture without having to add dairy. The main course comes with delicious sides, like this Potato Parsnip and Apple Gratin, that plays nicely with the season’s flavors and will be a hit with the whole family. 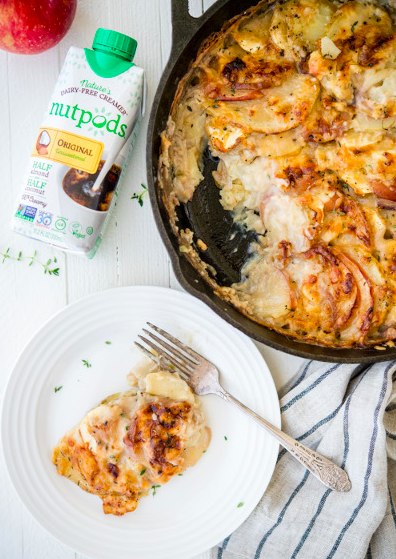 Get that creaminess in your gratin with nutpods half & half, and a (vegan) Gruyere-style cheese. 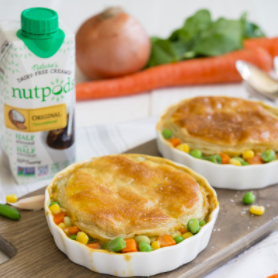 Match the gratin with this Veggie Pot Pie, easily put together with veggies of your choice and frozen pastry dough. Feeling like you need some meat in this? Add any animal protein you’d like! Vegan pot pie that pairs well with this Mushroom Gravy, made with nutpods, too! 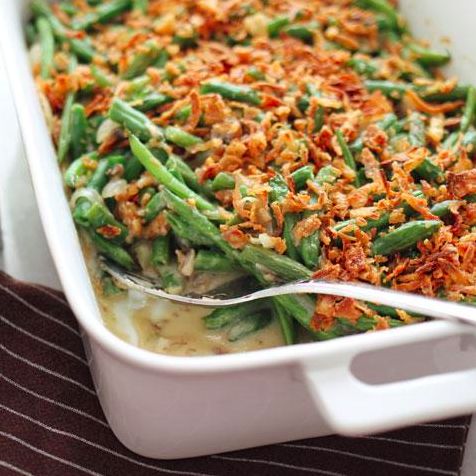 Complete the meal with a side of delicious veggies, like this Green Bean Casserole that’s made awesome with fried onions and mushrooms. Fried onions on top, and creamy, dairy-free goodness below! Frozen bananas and dairy-free creamer from nutpods make this frozen dessert very tasty. Happy Holidays from the Social Nature Team! Look 👀 very good I would have one with coffee for breakfast .